Fathom Events and The Pokémon Company International bring the highly anticipated new animated feature film Pokémon the Movie: I Choose You! to movie theatres on November 5, 6, 11 & 14. 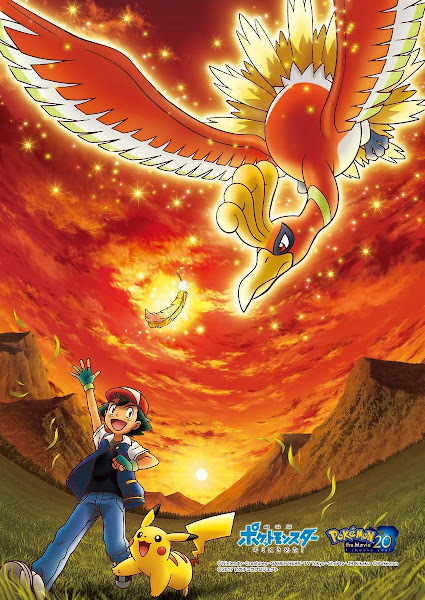 This special event explores Ash and Pikachu's first meeting and their adventures as they search for the Legendary Pokémon Ho-Oh. The pair encounter familiar faces along the way, new characters including Trainers Verity and Sorrel, and even a mysterious new Mythical Pokémon, Marshadow. November 5 and 6: Cinema audiences who attend the showings on November 5 and 6 will have a chance to receive a never-before- seen card for the Pokémon Trading Card Game featuring Pikachu wearing its Trainer's hat. (while supplies last). November 11 and 14: Cinema audiences who attend the showings on November 11 and 14 will see the film only (no card available).